Oh, god, we've rambled on about this city. So what, though. We love SLC with our whole COLLECTIVE hearts. 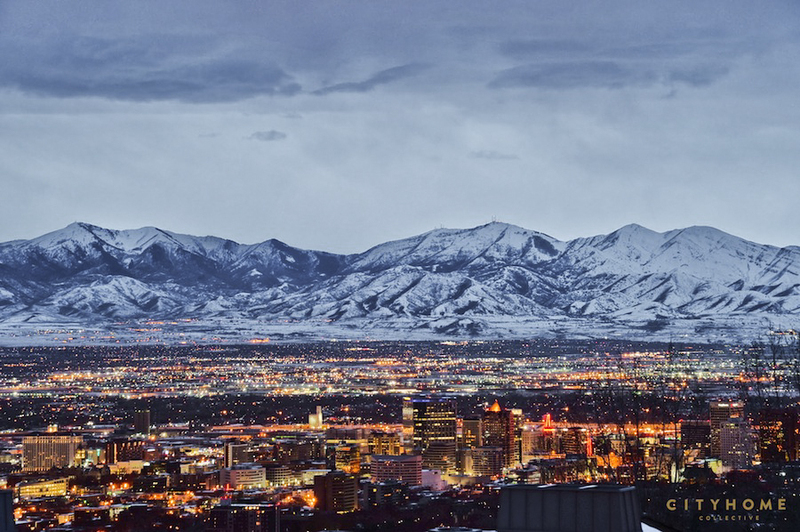 Even when the mother-frigid temperatures hover near "I'll kill you dead if you step outside," Salt Lake is ever so easy on the eyes and well worth braving a few cold months [or hot ones, depending on how you likes it]. Twenty fourteen was all whiz bang. Soooo much good stuff happened, folks. Think about it: we took a bike ride with Mayor Ralph Becker in the name of cleaner air, and helped to raise actual funds for the same purpose via the Light As Air event. We spearheaded our first ever charity campaign, Love Where You Give, successfully gathering a slew of warm clothing and toys for the women and children of the YWCA. We continued to change the way real estate is done, and noted that some others have started following suit. We actually doubled in size [see proof here]. We designed a new restaurant for some of our favorite local entrepreneurs and chefs [Finca feature coming very soon! ], and we tooted the horn of over 350 locals, businesses, spaces, and events on our website. That all said, there's plenty left to do, folks. And in the spirit of keeping in mind what it is we set out to love/conquer/live in this sweet city, we've gone back and re-read our COLLECTIVE Manifesto. We invite you to do the same. 'Cause twenty fifteen? Shoooot…better watch out.